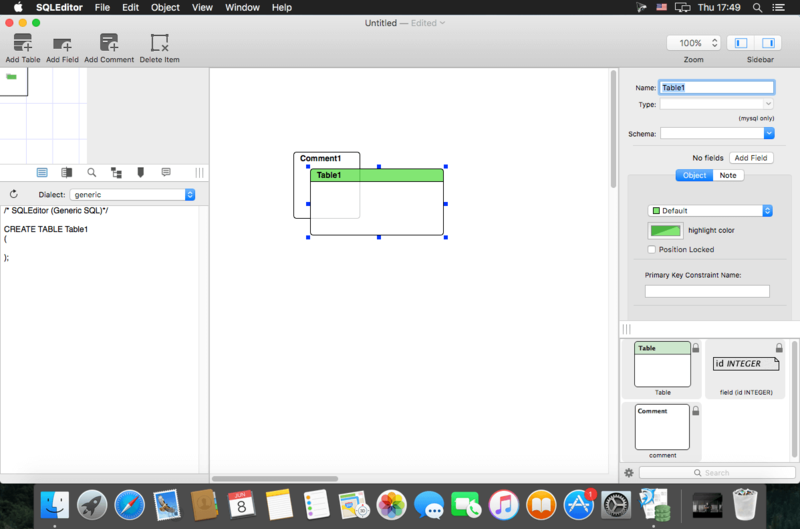 SQLEditor is a SQL database design and entity relationship diagram (ERD) tool for OS X. It replaces typing SQL by hand with dragging, dropping, and clicking, making database creation faster and easier. 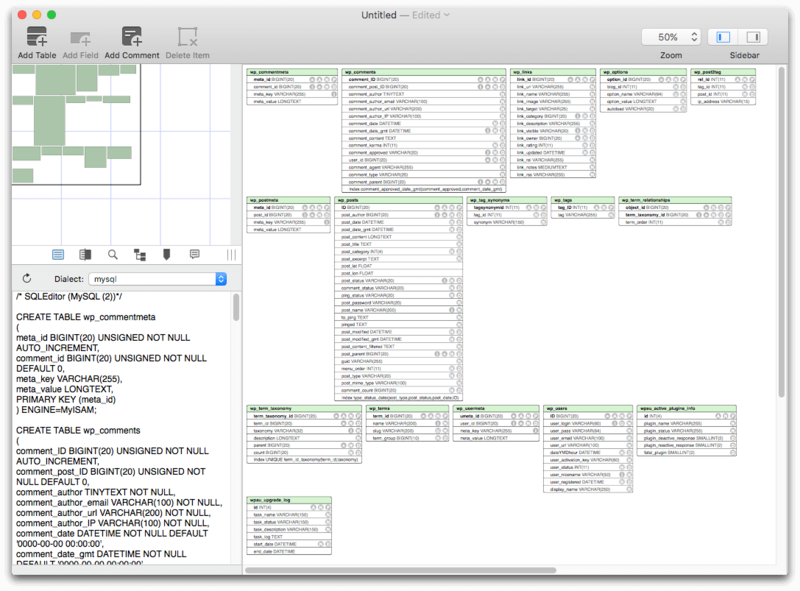 And if you already have a database, then SQLEditor can help you see what it looks like by reverse engineering a diagram. Or use SQLEditor to create documentation with the new design report exporter. SQLEditor may be useful if you need to design a database or you have existing databases to manage. It's also useful if you're learning about database design. 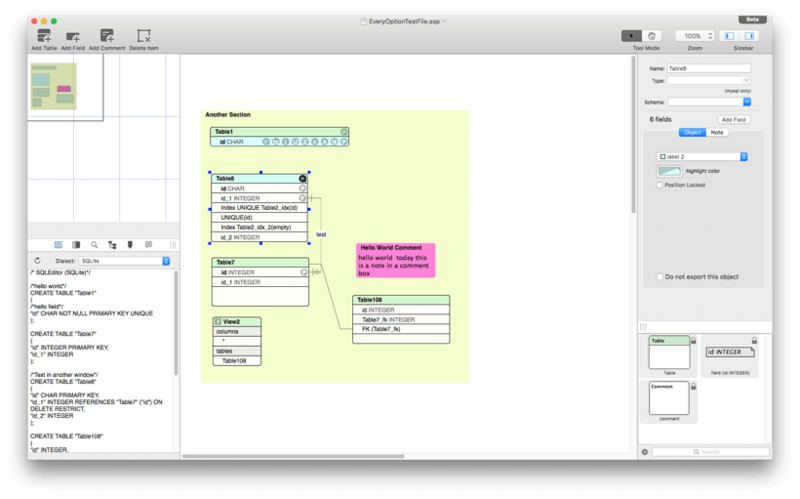 SQLEditor supports exporting database designs to MySQL, Postgres, SQLite, Oracle, and others. Plus it also imports and exports Ruby On Rails Migration files.